American higher education has become unfriendly territory in many ways. Some parents wonder whether they should consider sending their students to college at all. 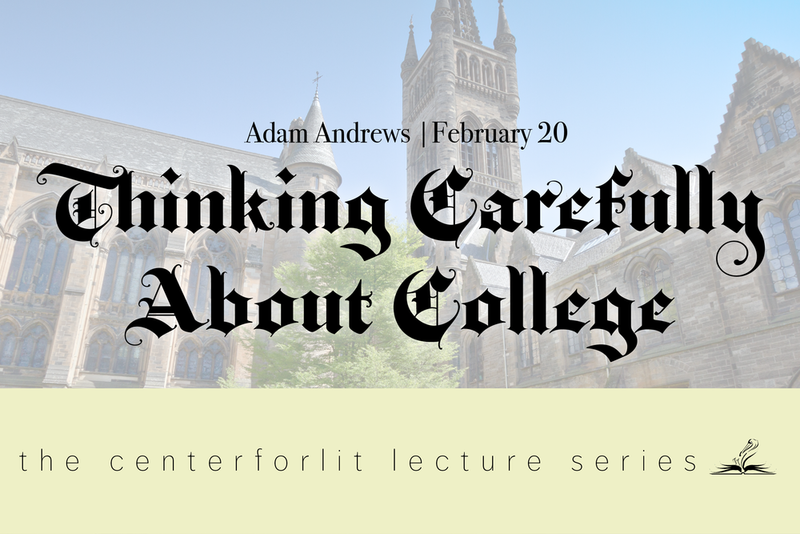 Drawing from extensive experience in higher education, CenterForLit Director Adam Andrews contemplates this all important question, suggesting ways to make the considerable benefits of a college education available to your homeschool graduates and offering valuable tips for deciding what kind of school to choose – and for avoiding the pitfalls that await the unsuspecting freshman. As a Pelican, you have access to all CenterForLit Lecture Series replays! The first one is now available for viewing in membership.